Give a gift of multi-general travel this year for the holidays ahead. It’s a gift your family will remember for generations! Conventional gifts can be overrated, and rather than offer gadgets, flowers or toys to the kids, why not take them on a trip? If you’re not in the mood to spend Christmas at home, pack your bags and head out on an adventure. Or put together a package of maps and information on a vacation spot where you can all spend time together. The world is your oyster! Pick a destination that best matches with your family’s preferences, and have the time of your life enjoying time together in a new destination. Make plans in advance so that you don’t spend a fortune on accommodation and flights, and check out the following destinations. 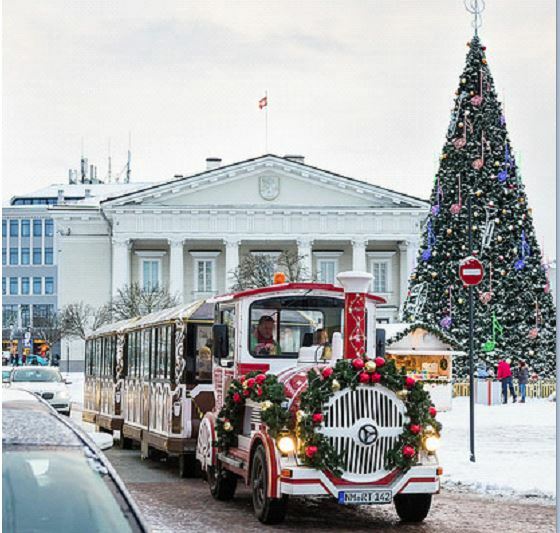 Lithuania’s capital city is a beautiful travel destination to explore this holiday season. Vilnius prides with the most alluring medieval layout, cobblestone streets, and baroque cityscape. In the winter, the Gothic churches, Historic Centre, and castles are covered in snow, thus creating a dreamy destination that will delight travelers of all sorts and kinds. The Old Town is an enchanting place to check out; around the holidays, it comes to life being completely transformed into a winter wonderland. There are many exciting events to attend in Vilnius during this time of the year, including the Christmas in the Capital Event from November 27th to January 6th, live performances such as The Nutcracker at the National Opera, or an adventurous winter safari through the snow-covered fields, national parks, and frozen lakes around Vilnius. The city of Dublin comes to life around the holidays. The events are grandiose and the activities are endless. Everywhere you look there’s a live event, party or festival starting December 24th. The best is the New Year’s Eve Festival, that recently won the 2015 Ireland Event Industry Award. Prepare for a night of pure madness, sprinkled with live entertainment, arts and crafts, street shows, 3D projections, and fireworks. Check out the city center, Dublin grand boulevard and O’Connell Street for a slice of epic fun on December 31st. Some people know Santa Barbara are USA’s Riviera. The Cannes-like festivals and performances around the holidays are fascinating. The International Film Festival is organized during time of the year, and it’s a must-see. The dramatic backdrop of Santa Ynez Mountains, the thrilling ambiance, and happy locals will make your trip memorable. Downtown, there are lots of Mediterranean-style stucco buildings that remind travelers of old Spain’s colonial heritage. Upscale boutiques and bistros are everywhere. Do things differently this season, forget all about the snow and explore Santa Barbara’s fine weather and thrilling holiday events. Head to the Southern Hemisphere and spend Christmas exploring the wonders of Chiloe Island in Chile. Around the months of December through March, travelers can admire the penguin colony from up-close. Choose a local tour operator and go on a boating trip around the archipelago. 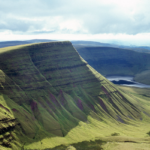 The views are breathtaking, and the natural wonders will leave you speechless. Some call it Chile’s Secret Island, so if you’re looking for a remote travel destination to just relax and enjoy the scenery, this is it. Cape Town, South Africa is the place to be if you want to experience a little bit of everything during the holidays. To satisfy your sophisticated tastes, you can have fine dining dinners and a taste of excellent African wines at the wineries of Stellenbosch or watch seasonal movies at Victoria and Alfred Waterfront. When you feel like taking your shoes off to relax and unwind, head to one of the beautiful beaches for a picnic or go on an African safari tour and see the animals of the wild if you want a bit of adventure to break the monotony of the trip. No matter how you want to spend your holiday, however, make sure you don’t miss the amazing fireworks display on New Year’s Eve at Victoria and Alfred Waterfront for an exciting start to 2017. We know it’s hard to find the perfect gift for the holidays. Rather than stick to tangible things, why not plan an adventure for your loved ones? Travelling is the best Christmas gift because it offers memorable experiences. The emotional aspect of an amazing trip has no comparison, and you’ll remember your amazing journey for a lifetime. About The Author: Peter Smith is a travelling freak who has travelled many destinations around the world. He also loves writing about his traveling experiences and the places he has explored.